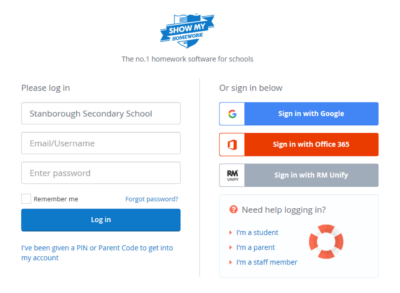 Stanborough School uses Show My Homework to help students, teachers and parents track and monitor homework. 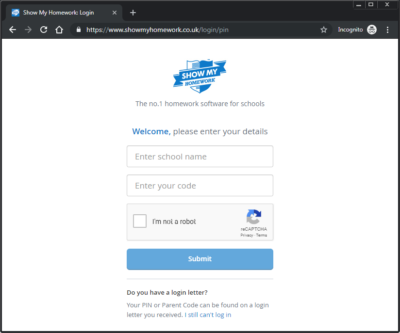 The guide below explains how to log in to Show My Homework (Parents please click here to jump to the parents’ guide.). 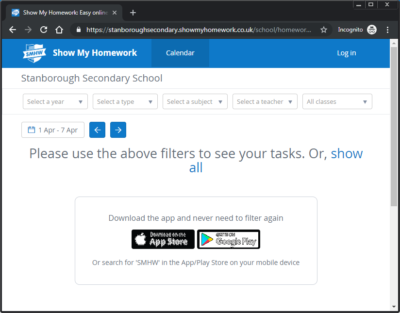 Links to Show My Homework can also be found on the main menu of this website. After going to Show My Homework, click “Log in”, located in the top right corner. You will then be taken to the login screen. 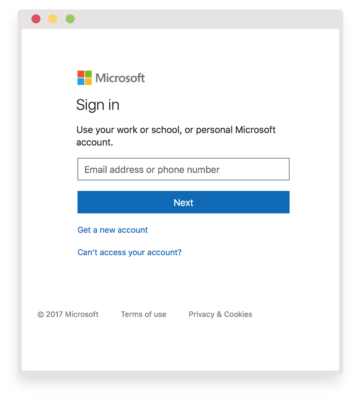 Choose either Google or Office 365 on the right to sign in. 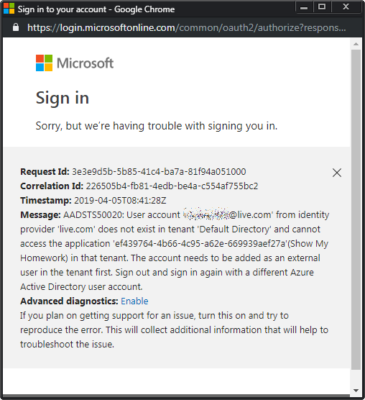 The left side login method will not work. You will need to type in your long email address ([email protected]) and school password. 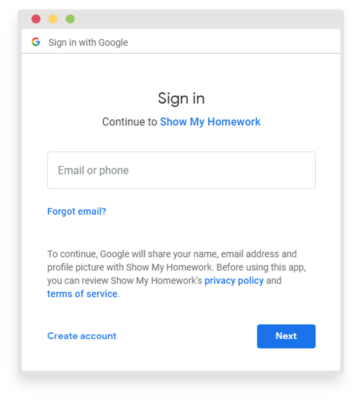 If you are signed in to your personal Google or Microsoft account (@gmail.com, @hotmail.com, @live.com, etc), Show My Homework will not be able to log you in, and will return an error (as shown below). 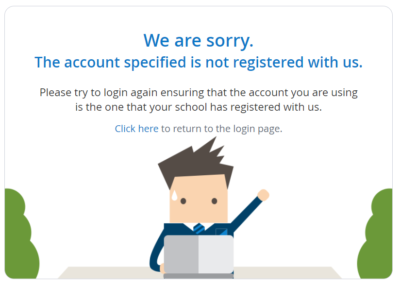 If you encounter this error, sign out of your personal account and start the signin process on Show My Homework again using your school email address. By now you should have received a letter containing two copies of a pin. This pin can be used to create up to 5 parent/guardian accounts. Go to the link in the slip and follow the instructions on the web page to create your account.